Nuta is a stool collection that stands out for its essential shape and lightness, as well as its adaptability to different interior designs. Nuta is especially suitable as a catering stool, furnishing bars and cafeterias. It can also be used in the home. Its very stable in spite of its light shape and can perfectly withstand intensive use. 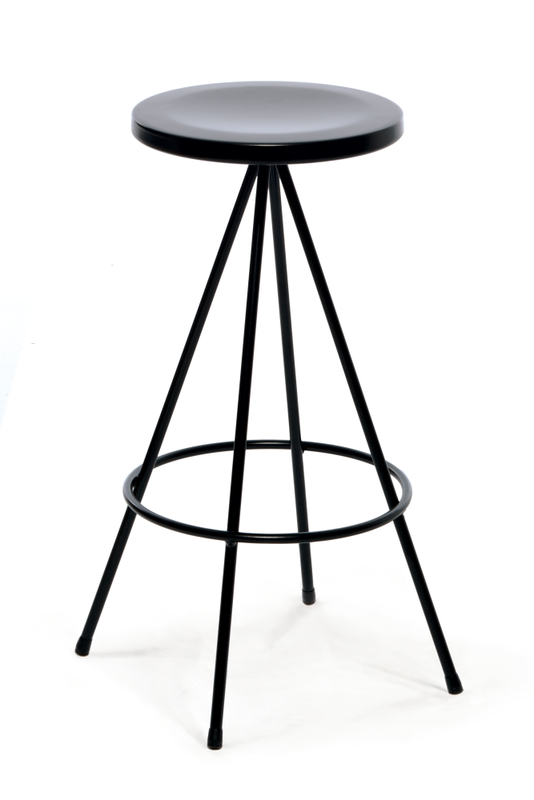 The three heights and different seat finishes (steel, wood and polyurethane) mean this stool collection can be used in a wide range of interior designs. The black painted steel version is particularly suitable for outdoor locations. Designed by Lluís Pau, it has won several design awards such as the ADI-FAD Delta Prize Selection 1990. An industrial and interior designer, he joined the architect's studio MBM (Martorell-Bohigas-Mackay) in 1973. As from 1978 he took over Estudi IDP where he develops his projects for exhibitions, museums, temporary spaces, libraries, stage sets and signage, among others. He combines his work as a designer with teaching at the Escola Eina and also publishes articles and books and gives talks. The items designed by Lluís Pau stand out for their minimalism and rationalism and their origins date back to the aesthetic approach promoted by Bauhaus. Estudi IDP has won awards for many of its products, including the following: Abac furniture, Nuta stool and Nuflo plant pot (ADI-FAD Delta Selection); Presentation of Canal+ in Barcelona (FAD Award ’90 and FAD Gran Prix ’90); Gala for the ADGFAD ’92 Awards (Laus Silver ’93 and FAD Award ’93); "Gaudí. The search for Form" exhibition (FAD Award ’03); Liceu underground station, Barcelona (Winning Project ‘05), among many others.